Home » Turkey’s Exit from NATO: Why the delay? The question of Turkey exiting NATO was key this week. The fact that the alliance has released an emergency statement on the issue shows that Brussels perceives Turkey's escape from the predatory alliance to be a very probable prospect. NATO’s official press release followed the completion of the meeting between Russian President Vladimir Putin and Turkish President Recep Tayyip Erdogan. The question of Turkey withdrawing from NATO was not officially on the agenda, but the Atlanticists have reason to be alarmed. Erdogan’s visit to Russia and the strengthening of the two countries’ cooperation on such key strategic issues as Syria testify to the failure of plans to push the two powers into conflict. If one considers the two presidents’ meeting in the context of Kazakhstan President Nursultan Nazarbayev’s recent visit to Ankara and the summit held between the leaders of Russia, Azerbaijan, and Iran in Baku, then it is understandable that what is at stake is not merely the restoration of pre-crisis relations, but a powerful step forward towards incorporating Turkey into Eurasian integration processes and its possible, future accession to the Shanghai Cooperation Organization. Simultaneous membership in the SCO and NATO is unlikely. Both organizations perceive each other as enemies. The rapprochement with Russia, Iran and China suggests a break with the United States. These are geopolitical maxims. However, Turkey has yet to declare its readiness to withdraw from NATO. How can this be explained? Is NATO a guarantor of Turkey’s security to at least some extent? To begin with, let us recall that Turkey's accession to NATO in 1952 was due to territorial claims posed by the Soviet Union. From 1945 to 1953, the Soviet Union proposed the establishment of a base in the area of ​​the Black Sea Strait, as well as to push the border in the Caucasus to the border line of the Russian and the Ottoman empires from 1878. Russia currently has no claims to the Bosporus and the Dardanelles and there is no common border between the two countries in the South Caucasus. There is similarly no longer the Soviet Union, whose communist ideological expansion formed another point of opposition and another excuse for the Turkish Republic to join NATO. Thus, the factors that caused Turkey’s accession to NATO are no longer relevant. Moreover, the emerging alliance with Russia and China removes the factor of a Russian military threat from the agenda in principle. Hypothetically, Article 5 of the Washington Treaty promises Turkey the support of other NATO member countries in the case of external aggression. In practice, however, the response measures within the framework of the mechanisms for exercising Article 5 are left at the discretion of member states. This means that a state can limit itself to a mere diplomatic note of support without providing any real aid. NATO never exercised Article 5 in cases of Turkey clashing with other states, despite the Turkish side’s attempts to initiate the process. A classic example is NATO’s response to the conflict between Turkey and Russia which erupted in 2015. In 2010, during a time of conflict between Turkey and Israel when the Israelis seized the Turkish ship Mavi Marmara and murdered Turkish citizens, NATO did nothing to protect or even support Turkey. Seventy US tactical nuclear bombs of the B61-12 type are stockpiled at the Incirlik Air Base in Turkey located in the South of the country near the border with Syria. From 10 to 20 bombs are intended for use by the Turkish Air Force. This can be viewed as an additional factor in the country's security. However, due to the presence of US bombs, Turkey also becomes a hypothetical target for Russian nuclear weapons. Turkey does not have long range aircraft and could use nuclear bombs only with NATO’s consent and in close proximity to its borders. It is difficult to imagine a situation in which Turkey would be unable to address hypothetical threats emanating from the Middle East with only the use of conventional arms. The territorial dispute between Greece and Turkey in the Aegean Sea and Turkey's support for Northern Cyprus has traditionally marred relations between Turkey and the European NATO countries that do not consider Ankara to be a welcome ally. NATO countries support the Kurds in Syria and have even used the above-mentioned Incirlik airbase to support Kurdish YPG units. Turkey itself considers the YPG to be a terrorist organization. A paradoxical situation arises in which a Turkish military base is used to support an organization that aids separatists in Turkey. What’s more, evidence of NATO’s involvement in the recent coup is growing. The coup attempt of July 15th witnessed Turkish Air Force members as the most active participants. The air force is considered to be the structure most integrated into NATO. The already-mentioned Incirlik base was used by the rebels to conduct air strikes against the legal authorities. The three most important regiments in the army who participated in the coup were part of the Turkish NATO Response Corps. US General John F. Campbell, the former commander of NATO groups in Afghanistan, has been named by pro-Erdogan media as one of the main organizers of the coup. Photos of the US Ambassador in Turkey, John Bass, with a Turkish officer taken just before the unsuccessful coup have been published. Finally, a high-ranking Turkish NATO employee, Navy Rear Admiral Mustafa Ugurlu, who worked in the US and was accused of involvement in the plot, has asked the US for political asylum. 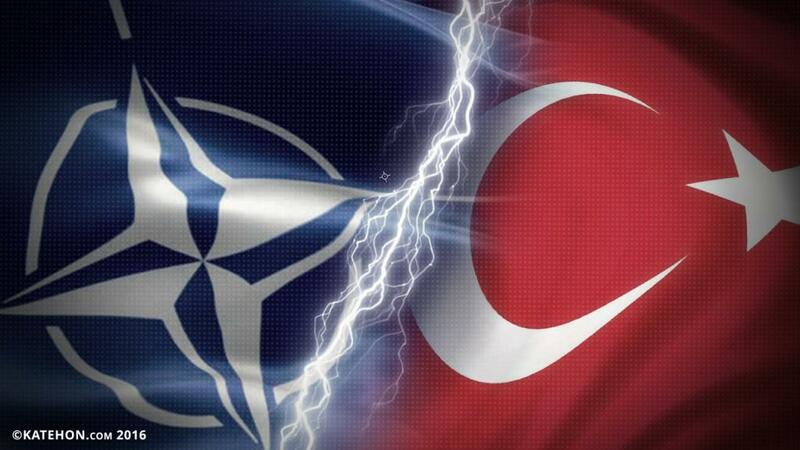 Thus, NATO has demonstrated that it is not only external but also an internal security threat to Turkey. The country’s membership in NATO means that the infiltration of the Turkish armed forces by agents of US influence will continue. This means that the risk of a recurrence of the coup also remains. After all, the coup did not only involve the Gülen network - it would have been impossible without the support of NATO and the presence of NATO agents of influence in the Turkish Armed Forces. In fact, there are no real advantages for Turks presented by Turkey's membership in NATO. Exiting NATO will not give rise to any serious disadvantages. But NATO membership will lead to the loss of sovereign control by Turkey over its own Armed Forces, as recent events have shown. NATO cannot guarantee the security of the Turkish Republic and, on the contrary, the members of this organization and its key state, the US, support Turkey's worst enemies: Kurdish separatists. There are no objective reasons for Turkey to remain in NATO. Only subjective concerns remain. One of them apparently concerns the fact that Russia, Iran and China need to offer Turkey something in return, an institutionalized alliance which provides real collective security. Another issue is the powerful pro-NATO lobby within the Turkish Republic in Erdogan’s inner circle and in his Justice and Development Party as well as, of course, in the Turkish Armed Forces. It must not be forgotten that, despite the resignation of Ahmet Davutoglu, the architect of Turkey's failed Middle Eastern policy and the initiator of the conflict with Russia who is well received in the West, he is still close to Erdogan to a certain extent. The historical experience of other Middle Eastern leaders shows that this half-hearted position and policy of keeping agents of influence and Western-backed figures in one’s inner circle can result in a new coup.